As winter lingers in the Northeast, it feels like a good time to pretend it's summer. So, today we're channeling warm, sunshine-filled Australia with a house tour in Palm Beach, Sydney. 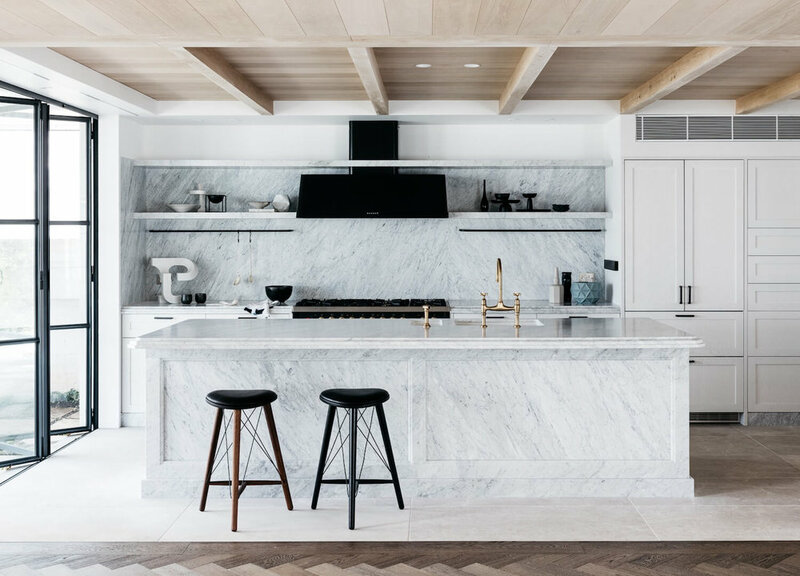 You may recognize the stunning space—designed by Alexander & Co—since we've featured their bar area in a past inspiration roundup. And though it's a good indicator of the rest of the home, we couldn't have imagined the whole place would be this gorgeous! 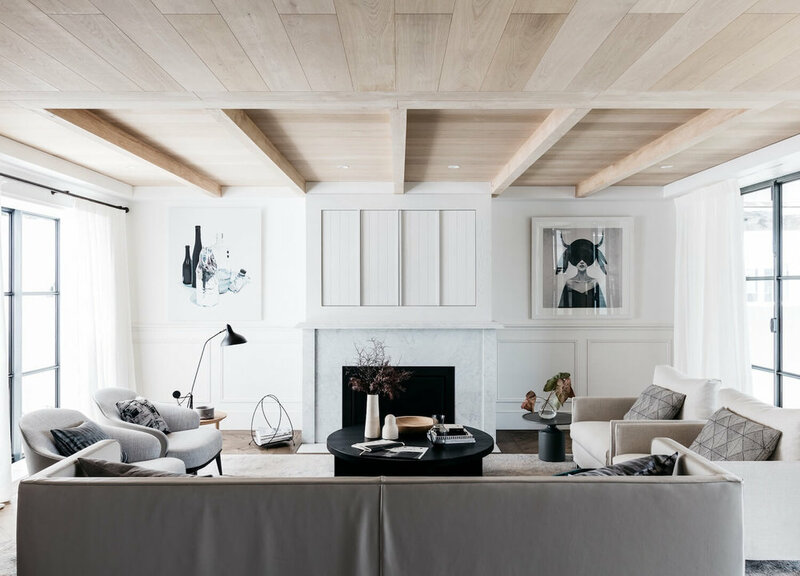 The neutral palette of warm natural woods, white cabinetry and airy furnishings helps details like the ogee edge counters and a paneled island (check out the marble baseboards, too!) to stand out. Notice how the bordered herringbone wood floors are echoed in the bath, where the marble tile follows the same pattern. 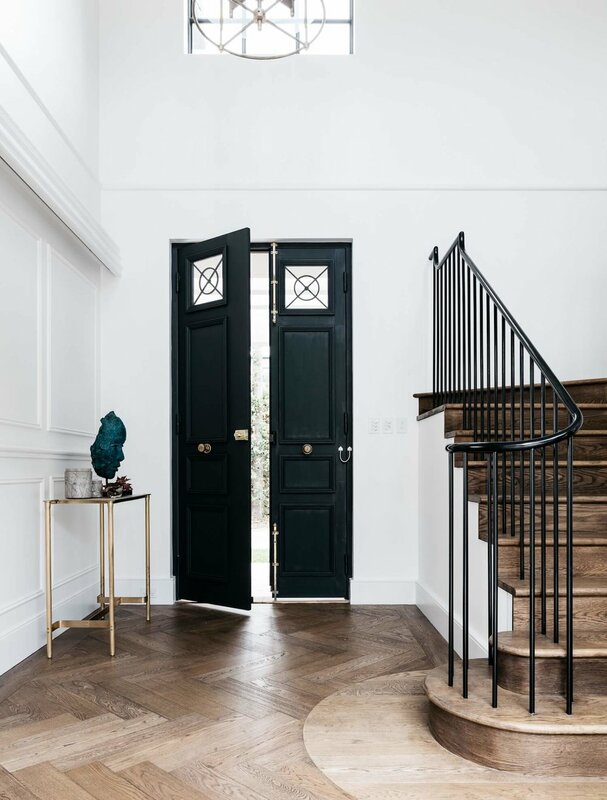 Similarly, wainscoting makes it's way around the house, and both brass and iron metal finishes are incorporated throughout. It's a sign of carefully planned design and workmanship. 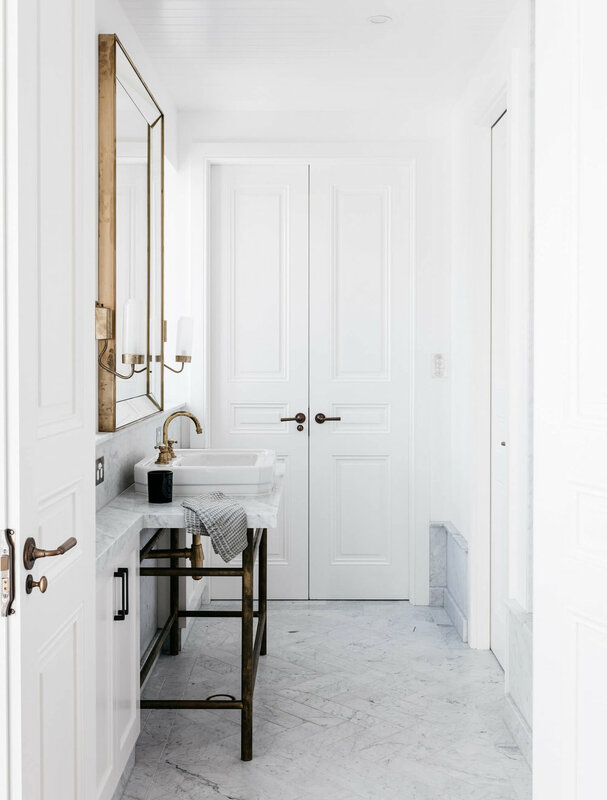 Whether the space is 500 square feet or 3000, highlighting and replecating select custom details makes it feel luxurious and comfortably cohesive. And just in case you weren't jealous enough, here are a couple shots of the view. 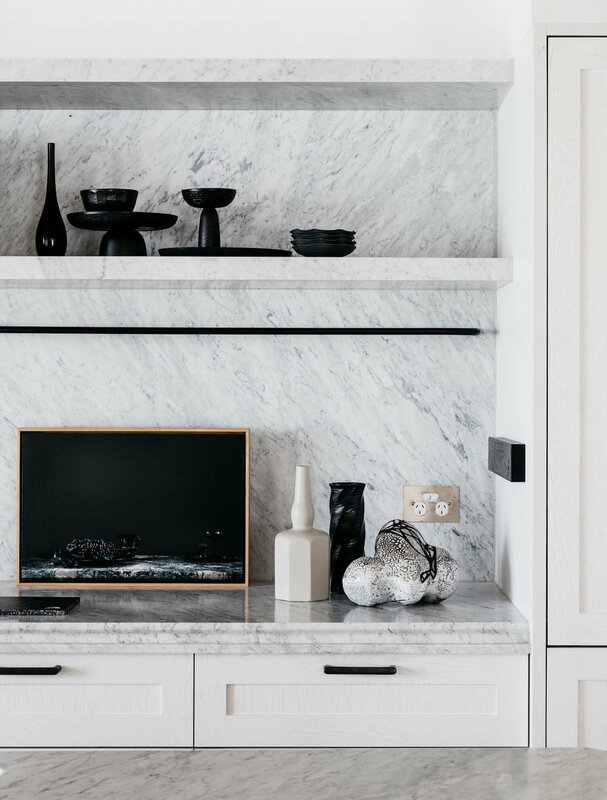 Unfortunately, we don't have any tips there except to save your pennies and keep your eyes peeled for some beachfront property..
All photos by Felix Forest for EST Magazine and found via Apartment 34. © 2017 Thompson Fine Home Renovations, all rights reserved.